In 1998 Eisenbach & Ruhnke Engineering successfully obtained a $200,000 Brownfields Pilot Showcase Grant from the EPA for the City of Utica. E&R was then retained by the City to assess the environmental conditions and remediation options for the vacant Foster Paper industrial site located within the City. E&R developed all required plans for the grant program and effectively completed the environmental assessment and site investigation for the site. 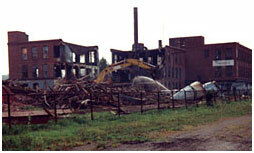 Upon conclusion of the assessments, the site was remediated under a voluntary remedial agreement with the New York State Department of Environmental Conservation (NYSDEC) and a No Further Action (NFA) letter was provided by the Department indemnifying the volunteer and future owners from any additional environmental liabilities. The City set a precedent for local real estate market and sold the 7-acres of Brownfields for $250,000 dollars to an international company. The property has since been developed with a 98,000-square manufacturing facility and has started a development growth in this area. Eisenbach & Ruhnke Engineering provided engineering services for a private landowner to investigate and remediate dormant industrial properties within the City of Rome’s developing East Rome’s Business Park. The investigation and remediation has been completed as part of a cooperative Brownfields and Voluntary Agreement between the NYSDEC, City of Rome and E&R’s private client. Under this agreement, the City remediated adjacent properties with environmental contamination, and sections of the privately owned land that threatened re-contaminating the City’s parcels. E&R developed investigation work plans, sampling plans remedial work plans, bid contract work, supervised the work and certified remediation of the site. Eisenbach & Ruhnke Engineering designed and supervised the environmental remediation and restoration of the Chase Interiors Inactive Hazardous Waste Site. Once the site was remediated under a voluntary cleanup agreement, the site was redeveloped by E&R for Dowcraft Corporation. 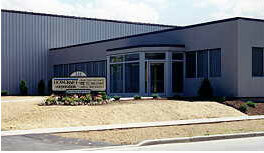 The property was redeveloped with construction of a 130,000 square foot manufacturing facility. The services provided included environmental testing, monitoring, oversight of remediation, reporting to New York State, design of the new facility, assisting in not only bidding the construction but also in purchasing all other materials for the facility. The overall cost of the project is $5,200,000.